I would like more information about 15 Crooked Highway. 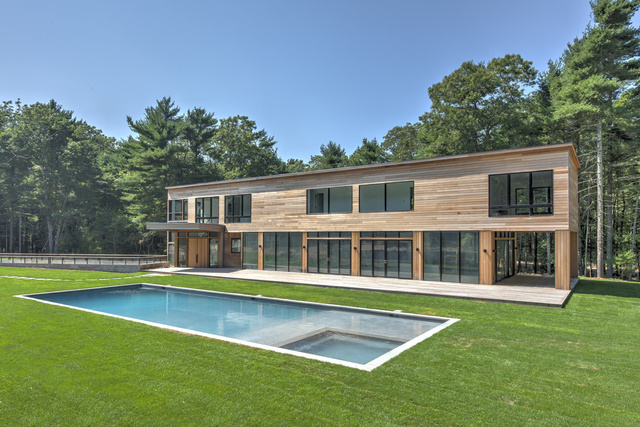 Extraordinary glass modernist home situated on over three acres of prime East Hampton woodlands. This 12000 square foot architectural masterpiece offers 6 bedrooms, 6 Full Baths, 3 Powder Rooms, 5-car underground parking, professional interior design, top tier finishes, oversized gunite pool with incredible patio/landscaping plan. Currently under construction with projected completion - Summer 2018. Easily the most exciting project in the Hamptons. Exclusively offered. By appointment only.